Nomads is in the safe neighbourhood formed by the diamond between the railway station, night market, Wat Phnom pagoda and the Central Market: all less than five minutes walk away. We look out onto one of the few open spaces in Phnom Penh: the wide boulevard is well lit and peaceful and quiet at night. We are only five minutes from the bustling riverside, but secluded from the hassle. 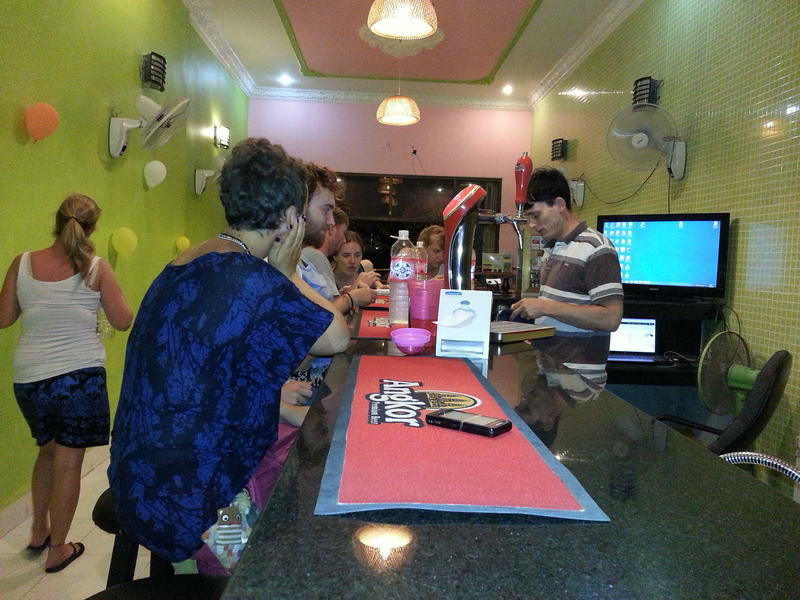 We are a family run hostel and we are able to offer a more personal touch for our guests. You will have access to a wealth of help and advice, from an ex-backpacker and his wife, on all aspects of travel and life in Cambodia. We welcome new guests with warm smiles and helpful advice and returning guests are greeted as old friends, who always have a story to tell over a cold beer (or orange juice if its to early for a beer!). 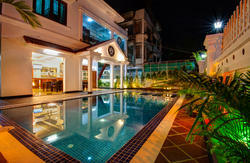 Recently refurbished including a new common area, all new A/Cs in the A/C rooms and new bathrooms. Free laundry, linen, towel, lockers, wifi, phone (**) and snacks. No curfew, no noise, no tuk-tuk touts, no taxi girls, no insects, no hassles, Nomads! 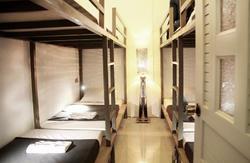 We have simple rooms, with futon-style beds that you can move around and join together. Fan dorms are spacious, airy, with ceiling and individual fans, large windows and balconies that look out over a large park. Aircon dorms are smaller, more private, and quiet at night. Rooms have free wifi, and there are no long stairs to climb. You will have a mosquito net, your own fan, a security locker with internal power point, fresh sheets, a fluffy towel, and free laundry (**). We have relaxed indoor and outdoor communal areas where it is easy to meet other travellers, with 24-hour drinks self-service. We have movies (new and old) and popular TV shows available in the afternoon and evenings in the indoor communal area. Our restaurant has a range of Western and Asian dishes and our breakfasts with a drink start from $1.50. There are recycling points on each floor. We are a genuine social enterprise, and provide special training so that young people who missed out on education can enter the workforce. We provide health care, accommodation and meals for staff. Guests (in small groups) can even help prepare and cook these everyday Khmer meals and for a few dollars you can even help to eat it! We tell you how to avoid charges at ATMs and money-changers, what a tuk-tuk ride should cost, the cheap and reliable way to get visas, and much more. Every day we have a special offer on rooms, food, travel tickets or other services. Our scams, safety and incidents notice-board helps you avoid and resolve problems and dangers. Should the worst happen and you need medical assistance we are next door to one of the few British Doctors who lives and works in Phnom Penh. (**) If you stay only one night, there is not enough time to do your laundry, but you can leave it and pick it when you return to Phnom Penh. 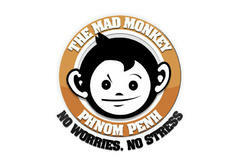 Free phone only for booking rooms or pickups at other guest houses in Cambodia. House 91, Street 108, Phnom Penh. Five minutes west of the riverside night market. Midway between Wat Phnom and the Central Market.